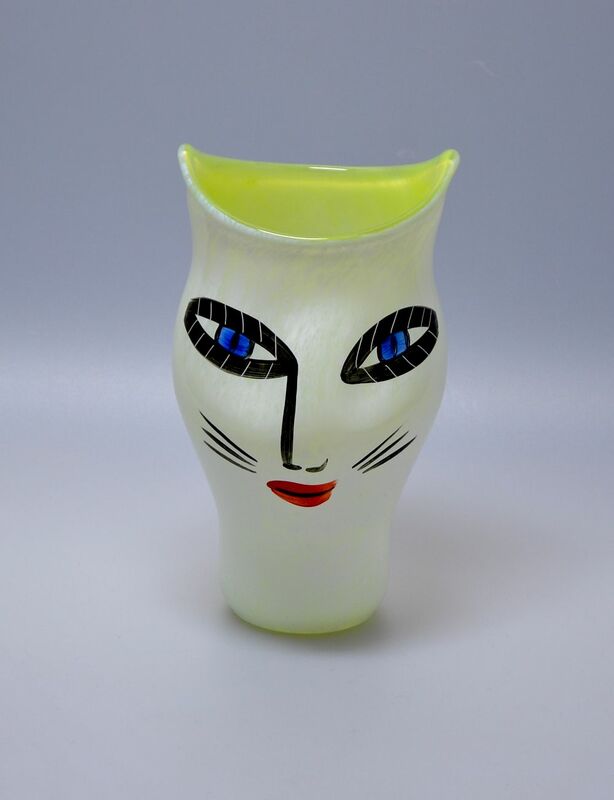 This wonderfully quirky medium sized vase was designed by Ulrica Hydman-Vallien for Kosta Boda. 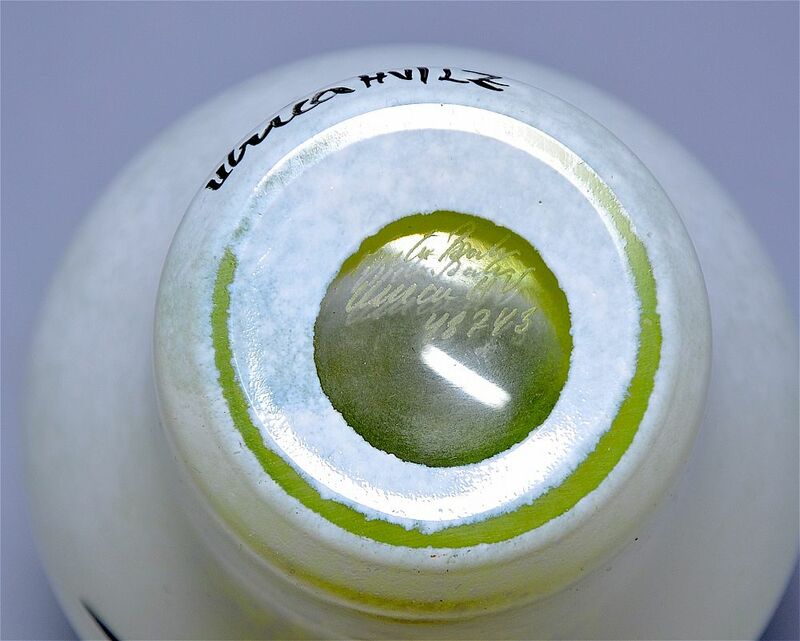 Known as Open Minds, it is in marbleised lemon yellow and is hand painted with a catlike face and shaped at the front to give a catlike profile. 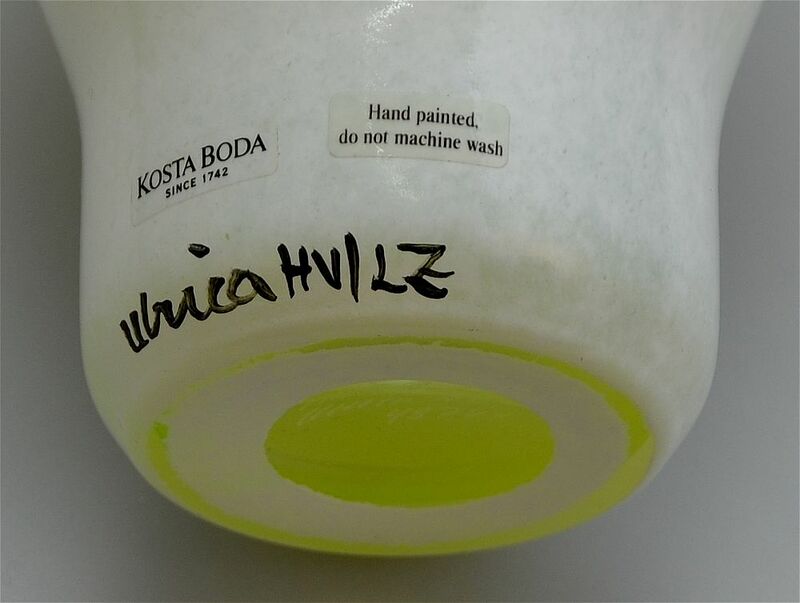 The bottom of the back is signed in black "Ulrica HV/OP" and has a clear Kosta Boda studio sticker with another clear sticker stating "Hand painted do not machine wash". The centre of the base is inscribed "Kosta Boda Ulrica HV 48743".